Having backups or copies of critical files could save you time and headaches if they were ever lost for any reasons. Having backups of Artisan’s data is also of paramount importance. Artisan has the ability to make backups of the complete database which could be restored in just 5 minutes by a technician if the computer’s hard drive ever fail losing all data on it. By default, Artisan asks whether or not the user would like to do a backup every time a Day-End is done. At this point, the user could select “Yes” and a backup will be done to the default folder (this varies on Windows & Mac). However, if backups are only done to the local hard drive and the computer ever fails, Artisan’s data may be lost as well even though backups were being done every day. Thus, we recommend doing backups to an external hard dive or any external device that could keep it safe no matter the circumstances. The ideal backup would be done every day at a certain time to a cloud solution that keeps your data safe off-site. This can be set up to be automatically done by a support technician, please contact us you’d like backups to be automatically done to Dropbox, which is the service we use and recommend. You can learn more about DropBox free solution here. 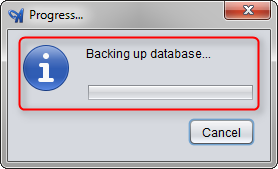 If you rather make backups manually to an external hard drive, here follow some steps to accomplish it. This will have to be done every day and maintained by the store itself as CerTek will not have access to this device if ever needed. In Artisan, click on the Backup button by the header menu. Then choose the destination folder you’d like to save the Artisan Backup in. Normally, you would want to hit Browse: then choose the destination, in this case we are using C:\Users\YOURNAME\Documents\Artisan\Backup but it will be different when using an external hard drive. Artisan will start the backup and once completed a confirmation window will be displayed. 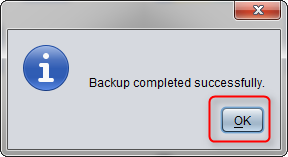 Now that the Backup has completed successfully you may want to go to the Destination Folder where you saved the backup, to make sure that it shows in that Folder. If any assistance is needed, contact support at 877-723-7835 option 2 for support, or email us at support@certek.com.